Youth Forum II — CitizenC. The honoured guest in attendance, Liu Xia, executive director of the award-winning Documentary TV Series “When the Louvre Meets the Forbidden City”, gave the keynote address. 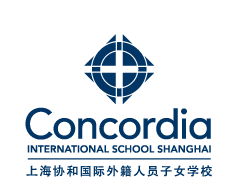 Following her presentation, students from Concordia, PingHe Bilingual School, and ECNU Affiliated Bilingual School participated in two panel discussions: one on Art and the Humanities, and the other on Technology and Innovation. This fully bilingual event offered live simultaneous translation so attendees could enjoy each speaker fully. Among the Concordia organizers were teachers Fiona Zhang and Doris Zhao. Student organizers were Henry C and Grace X and they were joined by panelists Corey Z, Charlie K, and Jenny F.